When our politicians are too busy playing musical chairs to run the country, our cricketers are doing suspicious things with sandpaper, and a murderous starfish with twenty-one arms roams freely around the Great Barrier Reef it seems about time that we, as a nation, ask a tough question: how the heck did it come to this? In Australia – What Happened? TV columnist, comedian and history buff Ben Pobjie turns an incredulous eye on the history of Australia to bust open the national mythology, reveal the truth about what it means to be an Australian and work out what happened to all our best-laid plans. What’s the real story of the Aussie larrikin? How exactly did sheep ruin everything? What impact did the Gold Rush have on Australian culture? And what do you mean ‘murderous starfish’? 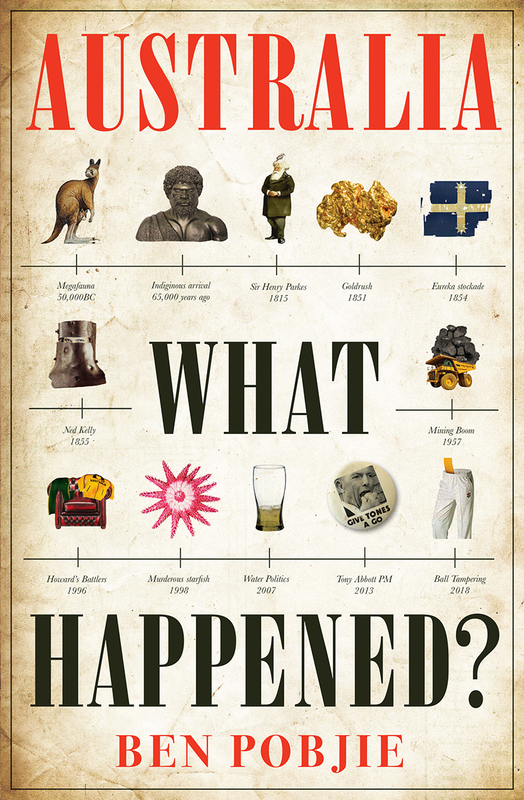 All these questions and more will be answered in this hilarious and historically accurate account of our wayward nation.